As the air becomes crisper, your summer clothing starts getting put away, and you are anxiously anticipating the fall season that is right around the corner. Fall fans are flooded with excitement as they wait out the end of summer to dive into the upcoming season. However, companies around the world don’t make waiting for the first day of fall very easy, before making you dive in early. Everywhere you turn advertisements are flooding papers, magazines, commercials, social media sites, etc. Here are five things that make waiting out the end of summer extremely difficult, especially in the world of Public Relations. Pumpkin Spice Latte, pumpkin pie, pumpkin candles, pumpkin soaps, pumpkin seeds, pumpkin ice cream, or just regular pumpkin. I could go on all day. Anything and everything pumpkin is yelling throughout the whole fall season. 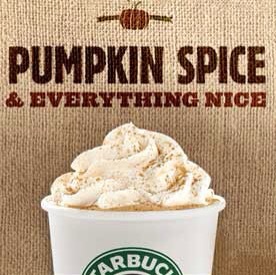 You are immediately hit with the pumpkin aroma everywhere you turn, and your heart pounds with excitement. Pumpkin is often the first thing on advertisements to open up the fall season. 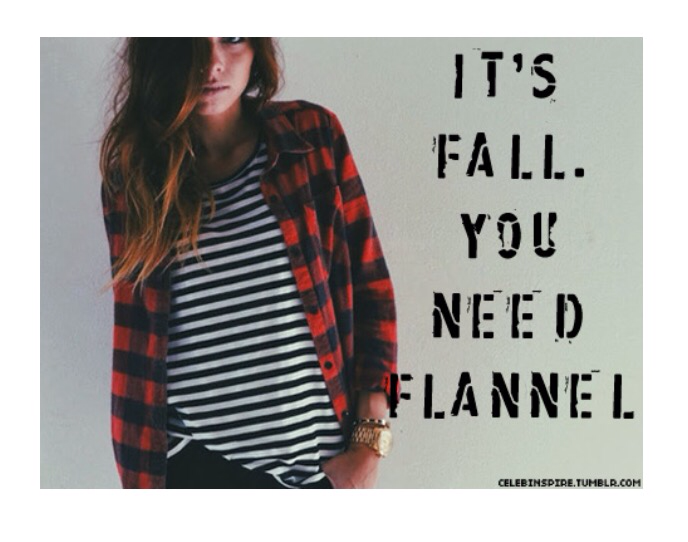 Better start stocking up if you haven’t already, because fall time is approaching and fall time is flannel time. Autumn is the perfect time for wearing flannel shirts. Something about the warmth and comfort that sweeps over you while wearing a flannel always bring customers charging through the doors of their favorite store and leaving with a new button-down flannel. You can never have too many. Every time I get online and see a new ad full of brand new flannels from American Eagle, I can’t help myself but to go out and return with a new flannel. Sure, the mountain of flannels in my room is growing exponentially and hinting to me I don’t need another, but everywhere I turn there is a new flannel and I can’t bring myself to say no. Similar to the pumpkin madness, there is apple madness. 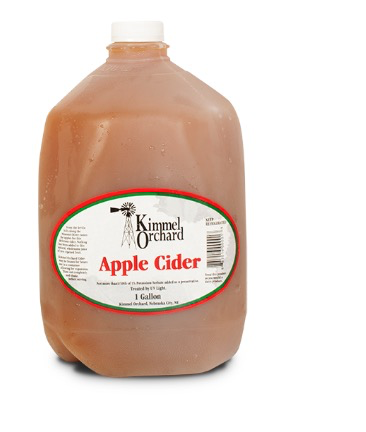 Apple pie, apple crisp, apple cider, and so many more. You open up your computer and your mouth starts to water because immediately you’re hit with dozens of Apple recipes, you see ads for fall festivals at the apple orchards taking place all around you, and you go home and immediately light your apple candles. Apple is another fall favorite you just can’t avoid. Social media won’t let you. Who knew that Mother Nature could play such a large role in one of the fall favorites in public relations: leaves. Very rarely do you see fall advertisements that do not match the beautiful dark colors of the fall leaves that cover the trees. As you move through the fall season, you see decorations all around you of the leaves of fall. You can’t talk about fall without mentioning the beautiful scenery of it all. The last fall favorite that you simply can’t ignore, Halloween. This fun filled holiday, enjoyed by many, causes the PR world to explode with Halloween related decorations, treats and costumes on social media. The film industry throws out various scary movies for the Halloween season, causing people all around to have the shivers of the season. 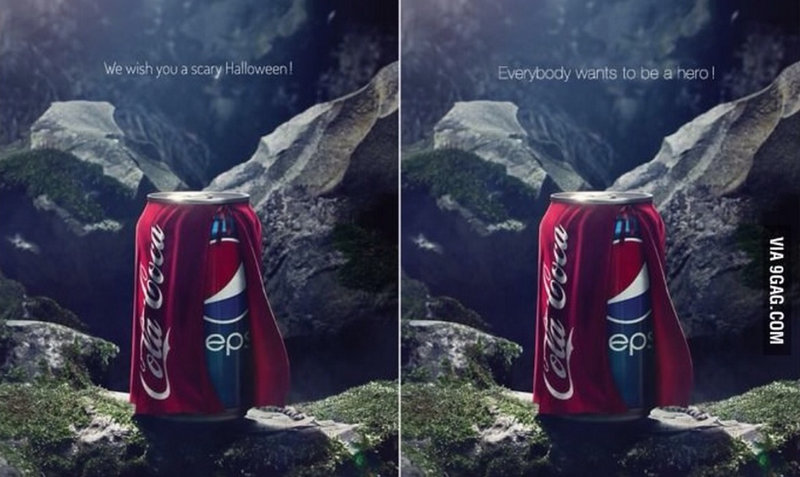 As you open up your social media sites, your computer becomes flooded with Halloween ads, events, and ideas. No matter how hard you are trying to wait for the first day of fall, you can’t help but get that Pumpkin Spice Latte at Starbucks, shop around for new flannels at American Ealge, light your new Autumn candle, make an apple pie, break out your new, “Leaves,” soap, and stop in the seasonal section at Target. September 23rd cannot come soon enough because the ads have started, the products are out, and I am feeling the fall frenzy coming over me. 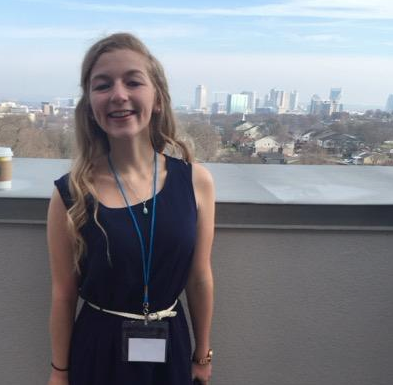 Rosie Haren is a Junior studying Strategic Communications with a Marketing minor and Social Media Certificate, follow her in Twitter @rosieharen!